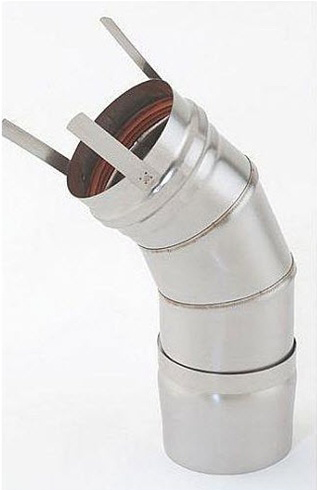 When running a new chimney liner pipe through a chimney there may be cases where something stands in the way and you have to navigate around it. That is when these durable elbows come in handy. These particular elbows are 8-inches around and are also available in 6-inch. You have already chosen to do ventilation the right way so make sure you have all the tools necessary to accomplish what you have set out to do.